Thanks to Neighborhoodies (and Serious Eats), my dream of a "Praise the Lard" t-shirt has finally come true. 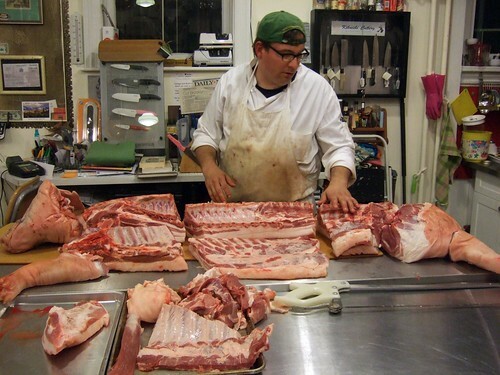 To celebrate Anil's birthday, we learned how to butcher a pig. Heard this for the first time today. How is that possible?